Tool Blog News Who Needs Math When You Have A Sector? 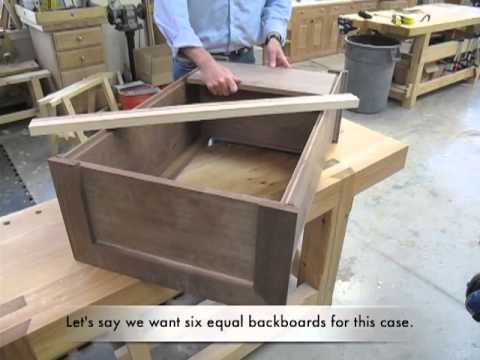 Math gets in the way of great woodworking projects. Yeah, I know it might be hard for some of you to believe, but amazing looking furniture was being built long before the masses knew the wonders a+b=c and all that jazz. Sure a tape measure comes in handy when you need to divide 73-3/16 by 5, but that is only because we were never taught the ways of old. So what can replace a tape measure and the knowledge math? How about two sticks and a hinge, or what is commonly known as a "sector". So we know a sector can replace (in some cases) the knowledge of math, but we still need the knowledge of how to use a sector. Chris Schwarz from FineWoodworking has a quick video to get us started on some of its capabilities, and another video on how to make such a device, but any true knowledge seeker needs to read the 'Secret of the Sector' article from the June 2011 issue of FWW. Chris Schwarz shows you how to use a sector in woodworking. Christopher Schwarz transforms a poor-quality folding rule into a working sector.